Người viết: minhnhacuchi123, ngày 7/17/2017, trong mục "ENGLISH NEWSLETTER"
Tóm tắt: The Anti-Corruption Bureau said that the inspection team completed the process of property inspection and the change of land use purpose of Mr. Pham Sy Quy's family - Director of the Department of Natural Resources and Environment of Yen Bai province. Yen Bai land of the family Pham Sy Quy, Director of the Department of Natural Resources and Environment. Brother: Hoang Anh. The Anti-Corruption Bureau (Government Inspectorate) today said its inspection mission completed the property inspection process and the change of land use purpose of the family of Pham Sy Quy - Director Department of Natural Resources and Environment of Yen Bai Province and wife of Mrs. Hoang Thi Hue. 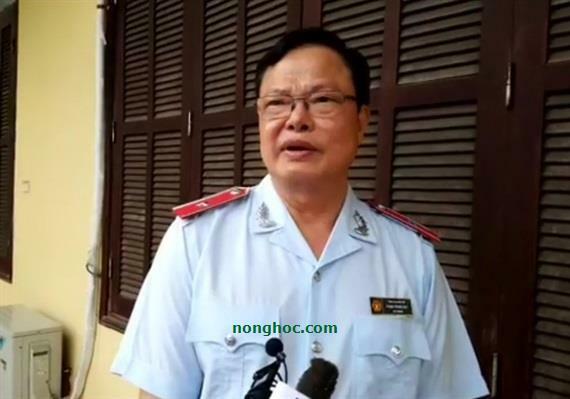 According to Mr. Pham Trong Dat - Director of anti-corruption department, the inspection team is drafting the inspection conclusions in accordance with regulations. Expected conclusion of this inspection will be publicly available in early August. 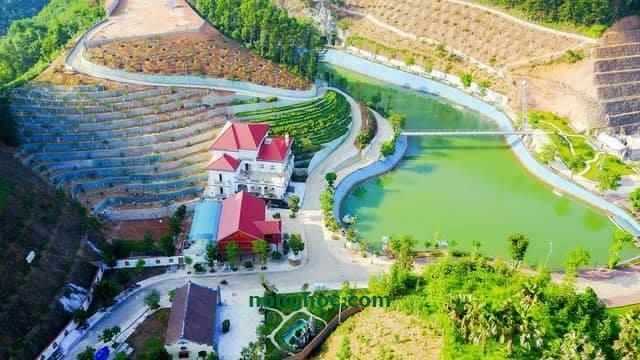 Regarding the content related to the loan of 20 billion of Mr. Pham Sy Quy to build a special place that public attention special attention, Mr. Dat said: "The responsibility of the inspector is to verify and conclude with specific conclusions. The bank loan must have a basis, full papers but can not be disagreement. On 27/6/2017, at the People's Committee of Yen Bai province, the mission of the Government Inspectorate announced the decision on inspection of information on assets and land According to the inspection decision, inspection time 15 working days Actually since the announcement of the inspection decision. Inspection time is from 1/1/2010 to 6/2017. The content clarified two issues. The first is the planning, use of land, conversion of land in the area of construction works of Mr. Pham Sy Quy family is how. Next, clarify the wealth of the family of Quy where. According to the documents for inspection, property and income statement of Mr. Pham Sy Quy at the end of 2016 including housing, construction works showing Mr. Quy has a house at 51 (Minh Tan ward, Yen Bai city) has a construction area of 600 m2, has been granted a certificate of ownership; An apartment in the Mandarin Garden (Tran Duy Hung Street, Cau Giay District, Hanoi) is over 130 sq.m. with a value of 2.5 billion dong at the time of construction, with a certificate of ownership. Mr. Quy also declared some other assets, including temporary construction area of 150 m2, value of 200 million, has a certificate of ownership; 1 piece of land of 1.000 m2 worth 500 million VND, at 51 Tan Minh Ward (Yen Bai City), has a certificate of land use right; A 2 hectare farm worth 1 billion VND has a certificate of right to use and 1 Toyota Camry. In explaining the fluctuation of property, income, Pham Sy Quy said that a 2 hectare farm in 51 Tan Minh ward inherited from parents in 2016. Total income of Mr. Quy year 2016 increased by 1 billion, according to his explanation "the income from the farm inherited from parents in 2016". Director of Anti-Corruption Bureau. Brother: Hoang Anh. Director Dat said that the inspection of the property of Mr. Quy's family belonged to the function and authority of Yen Bai province. However, since Mr. Quy is the younger brother of Yen Bai Provincial Party Secretary Pham Thi Thanh Tra, during the inspection of public opinion, there are many concerns about whether there is objective transparency. The chairman of Yen Bai province, Mr. Do Duc Duy, has written a request to the Government for help to ensure the impartial, impartial. The government has assigned the Government Inspectorate to do this work and the Anti-Corruption Bureau is in charge of the inspection. Prior to this, a number of media organizations reflected on the population including villas, stilt houses, suspension bridges, lakes, and many other items believed to belong to the family of Mr. Pham Sy Quy, Director of the Department of Natural Resources Environment of Yen Bai province.